Midway between the Var and the Maritime Alps, the Hôtel Mercure Cannes Mandelieu is situated 7 km from La Croisette and 30 km from Nice Airport. 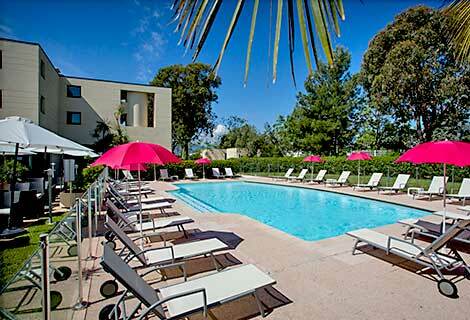 Only 300 m away from the beaches, the 4-star hotel Mercure Cannes Mandelieu is the perfect place for a family holiday, a company seminar or as a group (large free car park with coach parking). 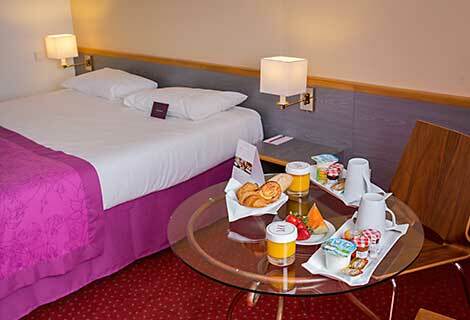 You will be bowled over by the warm, friendly welcome you’ll receive. Its facilities include a swimming-pool, family rooms, a large dining terrace, comfortable meeting rooms… everything in fact to help you relax and explore the town. The hotel can host seminars, meetings and cocktail receptions for up to 140 people, with 97 rooms and 340 m² of meeting areas with natural daylight. To accompany your meetings, our chef can provide you with delicious coffee breaks and meals with menus to match your wishes and your budget. Outside of your meetings, you can have a fantastic time! Our team can organise barbecues in the garden, cocktail receptions and Gala dinners as well as cultural, sporting or water sports activities close to the hotel (Château de la Napoule, cycling tours in the Esterel Mountains, the Grasse perfumeries, the Lérins islands, Marineland, etc.). 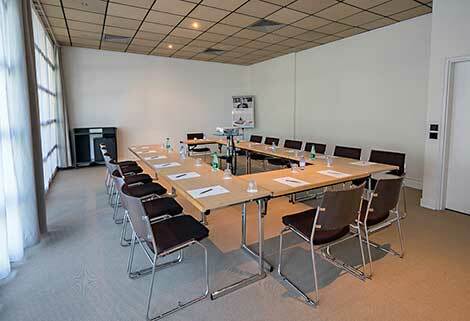 Every room is equipped with flipcharts, a video projector, notepads, pens and mineral water. With 97 rooms and 340 m² of meeting areas with natural daylight.